I have a balanced approach to dog training. I give reward/praise/food for good behavior, and I correct for bad behavior. This is how I show the dog exactly what is expected, so the dog can learn how to make great choices on its own. For more information on my training approach, take a look at my blog. Definitely! I do much of the initial training with food, but then I taper it off, because I want the dog to eventually work for me, not the food. Sometimes however, when training with food, you can get higher levels of excitement in dogs, and if you have distractions (other dogs, cats, doorbells, etc), the dog will not be interested in working for the food. Do you use prong collars? Yes! E-collars are a great tool in dog training. They allow you to train the dog without being attached to a leash, as well as from longer distances. E-collars work like a TENS unit (muscle stimulator) you might experience at the chiropractor. It does not cause shocking or electrocution. Most times, a dog works at e-collar levels so low that a person cannot even feel the stimulation. We use the E-Collar Technologies for our e-collars. Their collars are very reliable, and their customer service is second to none. Success depends upon the trainer, the dog, and the owner working as a team. I need you to be on board with my tools and training techniques. You will probably need to make some changes in how you live with your dog. After the training at the board & train or the private lesson, you will need to follow up and do training exercises, routines, and other follow-up at home. It’s critical towards the continued success of you and your dog, so that you can have a great and active life together. Is there a guarantee from your training? Dogs are not robots or computers that you can just program to do certain behaviors 100% of the time, and there are so many variables involved to create a dog that is well-behaved and balanced. This includes much on the side of owner once the initial training is done because there is a lot of follow-through required, and it would not be ethical to give a 100% guarantee. However, with the great owners I've worked with, I consistently see success in the dogs I've trained. I work together with you, the owner, to help insure your dog's continued improvement. This teamwork begins before I even meet your dog, goes through the entire training process, and continues even after your dog goes home. 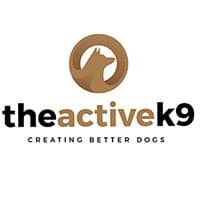 I want your dog to be a successful part of The Active K9 family!